The wide and diverse plant collection at the greenhouse is a delight to your sense of sight and smell. A visit will leave you wanting to add more plants to your personal plant collection. Some of the plants are very rare and hard to find. Come by and see for yourself! 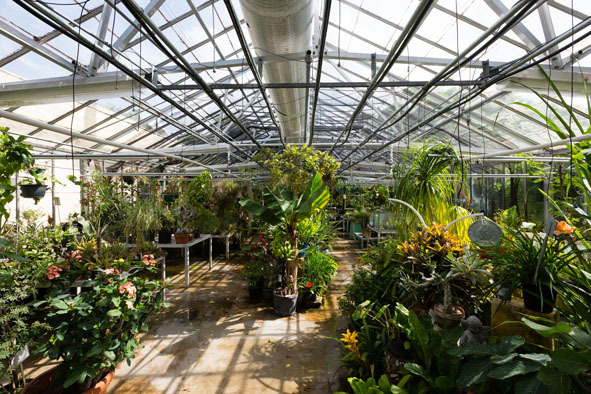 The many plant species found in the Greenhouse are needed to satisfy lab requirements requested by Faculty. 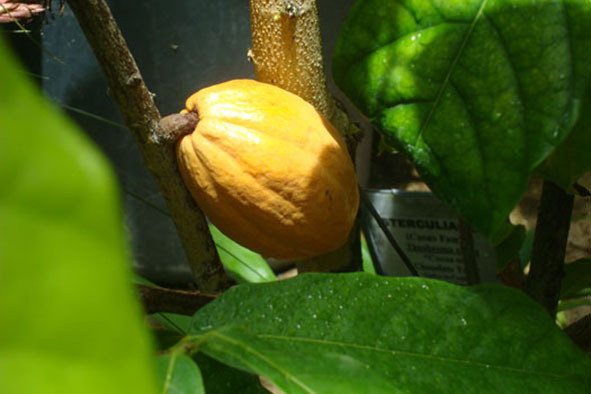 Native to Central and South America, Theobroma cacao is a small to medium sized tree that prefers to growth in shady humid areas. The flowers bloom in clusters along the trunk that are pollinated by midges. The seeds are removed from the pods and through a fermentation process the cocoa is harvested from the seeds. Know as mutualism where both species benefit each other, Hydnophytum fornicarum provides domatia which are internal cavities that ants can inhabit. 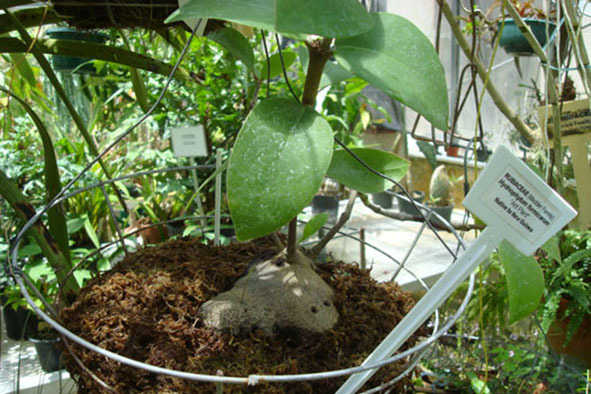 The ants in turn protect the plant from herbivores. 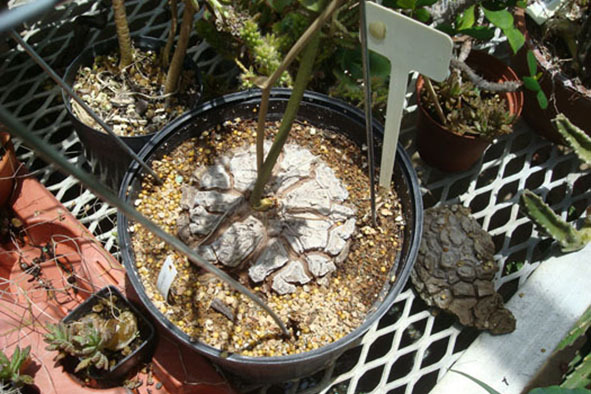 Belonging in the yam family, Dioscorea mexicana produces an above ground caudex that resembles a tortoise shell! The the vine that comes from the center of the caudex needs a place to climb. When visiting the Greenhouse please make sure to see some of the more unusual plants such the Amorphophyallus titanium, Welwichia mirabilis,Theobroma cacao, blooming orchids and others.